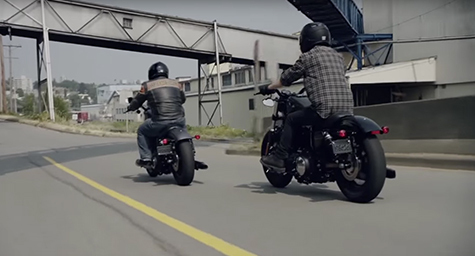 Harley-Davidson traveled a social road to roll out its 2016 motorcycles by using social media platform Periscope. The motorcycle brand turned to the relatively new social platform to steer out the first virtual live stream of a motorcycle ride around the globe. Beginning in Portland, Oregon, the company revealed its new motorcycles as they sped through Sydney, Tokyo, Barcelona, Toronto, Mexico City, and Las Vegas before returning to Portland. The entire ride was livestreamed through a series of Periscope broadcasts in each urban setting. PRNewswire.com aired more on how Periscope can put a brand far ahead of the pack. Periscope provides the perfect platform for brands to broadcast live events and position themselves as cutting-edge. Livestreaming is becoming more popular every day, which is why brands are looking to leverage this social opportunity. And with brands finding it difficult to continually create buzz and stand out from competitors, seeking fresh forms of media is a savvy social media marketing strategy. Harley-Davidson has always positioned itself as an edgy brand. That’s why its use of livestreaming and the Periscope platform matched its pioneering image. It allowed the brand to demonstrate how it’s open to new innovations and be part of the trending conversation. This is exactly what a brand needs when it’s launching and promoting new products. With it’s global motorcycle ride, Harley-Davidson generated an abundance of footage. They built on their buzz by editing this footage to develop a new video they could share on their social media channels. In addition to capturing attention and building lot of buzz, progressive platforms like Periscope provide a wealth of compelling content that brands can easily use for many marketing platforms and purposes. Watch what’s happening in social media marketing. Contact MDG Advertising today at 561-338-7797 or visit mdgadvertising.com.